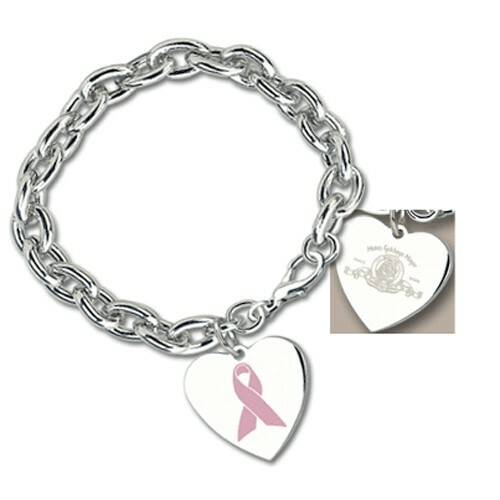 7 1/2" link bracelet with pink Breast Cancer Awareness ribbon on heart charm and lobster closure. 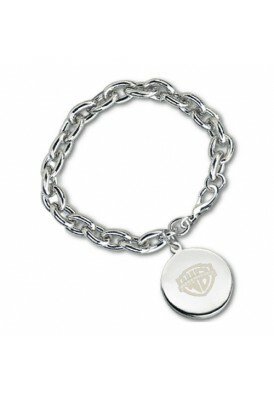 Silver-tone finish with debossed and color-filled ribbon. 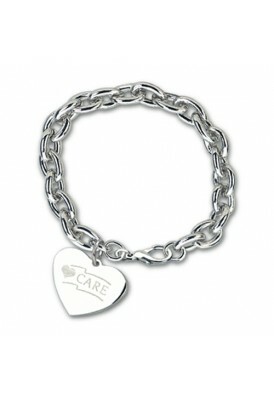 Portions of the proceeds from the sales of this item will be donated to various breast cancer awareness organizations. Includes drawstring pouch. Imprint in color or laser.